If you need some microwave oven cookware to compliment your microwave we have a wide range suitable for domestic and commercial use. 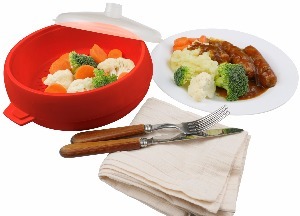 All of our cookware is BPA free so is safe for microwave use. You will be able to find very specific microwave cookware like microwave steamers, casseroles, covers, jugs and saucepans. As microwave oven specialists we also offer a range of Microwave Spare Parts.